•Pro celý DNS tým byla tato mimořádná akce, na kterou se zaregistrovalo 860 účastníků potvrzením, že koncept DNS je akceptován širokou odbornou veřejností jak platná metoda ve funkční deiagnostice a terapii pohybového systému. Kongres se stal velkým stimulem k dalšímu rozvoji projektů Rehabilitation Prague School. •Děkujeme za řadu pozitivních komentářů. Jsme rádi, že byl kongres pozitivně hodnocen a stal se platformou pro komunikaci mezi zdravotníky mnoha odborností i sprotovní odborné veřejnosti. This past weekend was a special experience for me. I was able to show how the principles of DNS are being integrated into Major League Baseball. Professor Kolar and the Prague School of Rehabilitation physiotherapists have been an enormous influence on me and how I treat athletes and patients. In American baseball we have an epidemic problem of elbow injuries. More specifically, the ulnar collateral ligament in the elbow. Through collaboration with Kolar and the Prague School, I have been able to influence the treatment of athletes and work on better techniques for throwing to help remedy this problem. 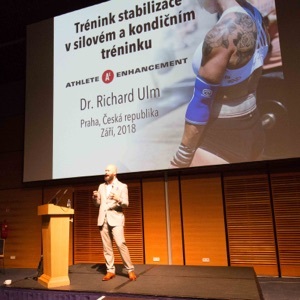 Also, being able to teach a weekend seminar with the Prague School Physio’s was also a special experience for me. 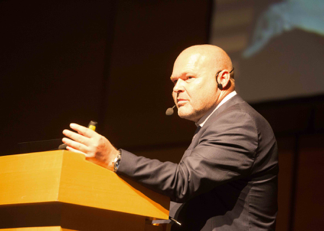 Overall, the DNS venue and set-up was world-class and organized perfectly. Professor Kolar, Dr. Kobesova, and the Prague School Physio’s should be commended for accomplishing such a task. 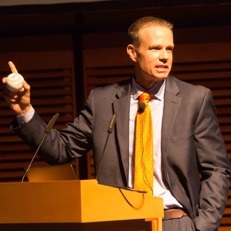 As a thank you for all they have done for me, I am trying to spread DNS to all facets of patient care, but at this time in my life, professional baseball. 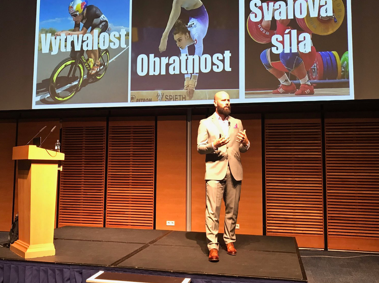 Recently, I had the distinct honor of presenting at the first DNS Symposium in Prague. The conference was set in a gorgeous hotel just outside of historic downtown Prague. It was well attended, having almost 1,000 attendees. 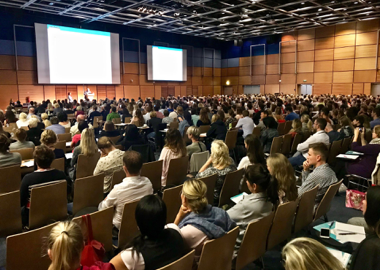 I have spoken at similar conferences, even larger conferences, in the past, all coming with some jitters and excitement, but this one was a little different. While the room was packed to the gills, it was the 10 or so of my colleagues and my long time mentor and creator of DNS Pavel Kolar (who kindly sat directly in front of me in the first row) that added an extra amount of nerves to my presentation. It was definitely different to have Prof. Kolar sitting within 5 meters of me, taking notes as I covered his concepts. Fortunately, I made it through with only a few snafus. Keynoted by Professor Kolar himself, the symposium focused on DNS concepts and some new material. 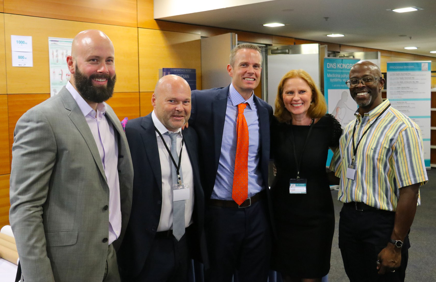 Myself, Robert Lardner, PT and Brett Winchester, DC all did presentations demonstrating how DNS has influenced us in our practices, each in our area of expertise. I had the distinct pleasure of following Prof. Kolar, which felt a lot like following the Beatles or Led Zepplin. Thanks a lot Alena. 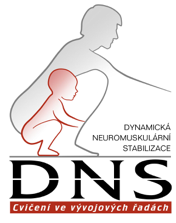 Having been applying DNS to strength training since the day I came across it more than a decade ago, my presentation was on training stability in strength & conditioning. 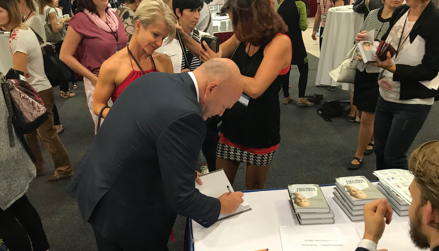 I discussed how the industry over-emphasizes the “posterior chain”, which produces a pathological posture Prof Kolar refers to as “Open Scissors” and I call an Extension/Compression Stabilizing Strategy. I covered why this pathological stabilizing strategy is so prevalent in the industry and then laid out what we need to change about our training so we can promote optimal movement strategies instead of provoking pathological ones. Next up was the always dynamic and always funny Brett Winchester. Being on the medical staff for the St. Louis Cardinals (a professional baseball team) he presented on DNS and the throwing athlete. He showed how the traditions of the profession are inconsistent with the ideal movement strategies described in DNS. He demonstrated how and why this has resulted in a pandemic level of Tommy John surgeries. He showed what he is doing with the Cardinals to help reduce the incidence of injury amongst the athletes. As always, he killed it. 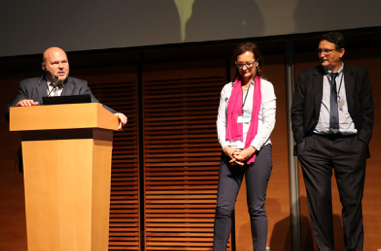 He was even able to pull off a few jokes (and get a laugh) which is often difficult in the large symposium setting, but even more difficult given the fact that 99% of the people in the audience were not native English speakers. Last, and certainly not least, was the brilliant, poised and gracious Robert Lardner, PT. Robert’s presentation was fascinating and discussed the problem of asymmetry and the resulting torsion of the torso that occurs. He discussed how the posture and function is disturbed and then showed how DNS can be used to correct the functional torsion (not his term). 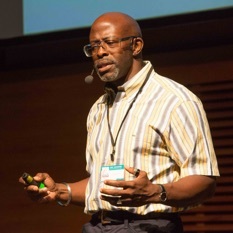 Robert is quite an artist of a physical therapist and his lectures are always profound and detailed and yet practical and commonsensical at the same time. He did not disappoint. 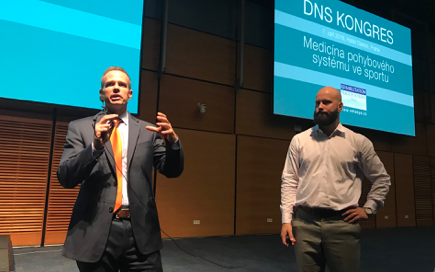 This opportunity was a great honor for all three of us and we hope that we represented DNS well to this audience of Czech physicians, physiotherapists and trainers. Totally random and yet insanely exciting side-note…I got to meet my favorite athlete of all time and long time patient of Prof. Kolar, Jan Zelezy. He is probably the greatest athlete to ever walk the earth in any sport (yes, I said any sport). He is a 5-time Olympian (3 gold medals + 1 silver medal). He was world-ranked for 20 years, which, in the javelin, is equivalent to playing football at the pro-bowl level from your rookie year into your mid to late 40’s. And, he is of course the world record holder. His record of 98.48m (323’) recently turned 22 and still, even after all this time, no one has thrown within 4 meters of that distance. That means that 22 years later, he is still almost 5% better than everyone else….yikes. Getting a little technical, this is even more remarkable than it sounds because the javelin technology has gotten considerably better since his mega throw and some estimate that the new javelins fly 2-4 meters farther than they did in 1996 when he threw the world record. I met him for coffee in old Prague and was able to discuss how his time with Prof. Kolar influenced his training. He said that Pavel would work on him, tell him things that he sound be feeling in his training and throwing and then even show him exercises to help him do this. He said that his time with Pavel influenced him to train for function and not emphasize strength. He also used many of these exercises in his training and before meets to activate the proper stabilizing strategy. We also talked about his approach to training, which is very different than the traditional methods we use today, and how he was able to come back from shoulder surgery, completely changing his technique and still get back to number 1 in the world — even winning the Olympics (#incredible). What makes all of this even more remarkable is that for the vast majority of his career (the last 18 years) he coached himself!!!! Now, if you’re not a thrower, you probably don’t fully appreciate how absolutely ridiculous and amazing this is. Armed with an uncanny (possibly unrivaled) ability to feel his body, the mental tenacity of a marine sniper and a profound intuition for training, he was able to navigate himself through his career to legend status with only minimal input from others. When I asked him about this he said that he would just “listen to his body” and let that dictate his training. He rarely ever threw hard in training (only when he felt like his body was ready and even then it would only be 2-3 throws in that training session). This is so far away from throwing tradition that it cannot be overstated. He would of course plan out his training for the week, month and year, but what exactly he did in each training session, whether it was throwing, lifting, running, jumping, core training or whatever, was completely dependent on how his body “felt” that day. If he planned on taking 50 throws in training and his body wasn’t feeling it, he would shut it down, often before he even took 20 throws. There is so much to be learned from this. As Kolar always preaches, muscle synergy is more important than the strength of any individual muscle. Perhaps this is how Zelezny was able to throw at such a top level for 20 years and why no one has even come close to his world record. This was a wonderful and unexpected surprise for me, one that I will not soon forget. Thanks Pavel!